After her victory at the Filmfare and Zee Cine Awards this year for her notable performance as a spy in Meghna Gulzar's directorial "Raazi", Alia Bhatt walked away with the Best Actress Award at the..
A kiss and an "I love you" from Alia Bhatt to Ranbir Kapoor at the 64th Filmfare Awards got their fans on social media talking about their rare public display of affection. Alia referred to Ranbir as..
Actress Tamannaah Bhatia, who has a no on-screen kissing clause in her film contracts, is ready to break the policy for actor Hrithik Roshan. In an episode of chat show "Famously Filmfare" (Tamil),..
Sara Ali Khan FIRST EVER Filmfare Magazine Cover Out Now! #SaraAliKhan has redefined hotness in her latest magazine cover. Watch the video to have a look at her first ever magazine cover. Alia Bhatt has been at an all-time career high with back-to-back film successes and even a Filmfare Best Actress award for her performance in ‘Raazi’. Alia Bhatt is at an all-time career high with her back-to-back film successes and even a Filmfare Best Actress award win for her performance in ‘Raazi’. 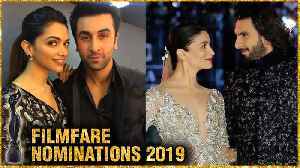 The recently held 64th Vimal Elaichi Filmfare Award 2019 was a night to remember. The who's who of the B-town descended at the award function that almost slayed the red carpet and the performances. Bollywood stars Varun Dhawan and Alia Bhatt made their big Bollywood debut with Karan Johar's 'Student of the Year' in 2012. After that, they worked in many films including 'Humpty Sharma Ki Dulhania',..
Several renowned Bollywood celebrities attended the first anniversary of Filmfare Middle East and impressed us all with their spectacular outfits. Not only did they set the red carpet on fire but.. The actress wore the gown at Filmfare magazine's first anniversary success in Middle East. Alia Bhatt-Varun Dhawan&#039;s smouldering Filmfare cover shoot is unmissable! In an interview with Filmfare, Varun Dhawan has finally spilt the beans about his marriage plans with Natasha. Alia Bhatt and Ranbir Kapoor are one of the most adored couples in Bollywood. 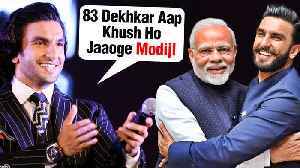 Their dating rumours started while shooting their film 'Brahmastra' in Bulgaria. In a recent interview with Filmfare, Alia..
During a candid conversation with Famously Filmfare, Tamannaah Bhatia opened up about her professional life. Alia recently won the Best Actress Award at the 64th Filmfare Awards for her performance in "Raazi". In a case similar to Tiwary's, actor Vicky Kaushal did not receive a Best Debutant nomination for his role in Masaan. This was because of his previous appearance in the film Bombay Velvet. Ranbir Kapoor and Alia Bhatt make Neetu Kapoor 'stress free'. [India], Mar 24 (ANI): Veteran actor Sridevi was posthumously conferred with the Lifetime Achievement Award at the 64th Filmfare Awards here on Saturday. ​​The couple, who have been dating ever since they were on the sets of their next film 'Brahmastra', were seated next to each other at the event. Alia showcased her love for Ranbir as she called..
Bollywood's who's who gathered for a celebration of the year's best cinema and the night turned out to be equally entertaining with its star performances. Vicky Kaushal, who kickstarted 2019 on a high..